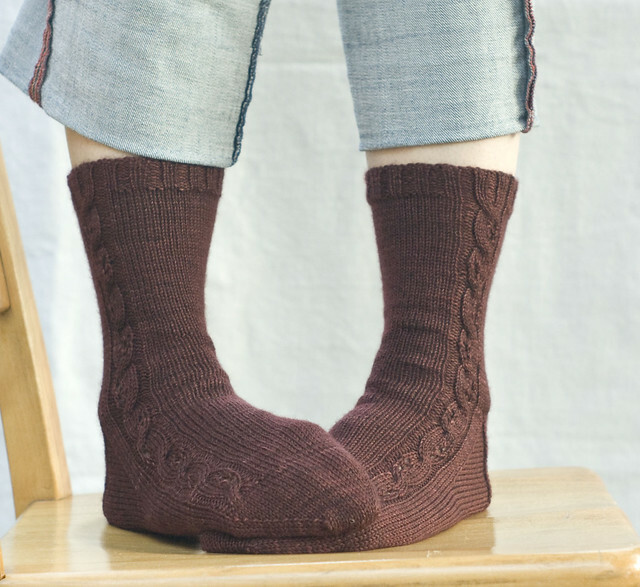 Virginia has a new sock pattern available knit with Madelinetosh Twist Light. 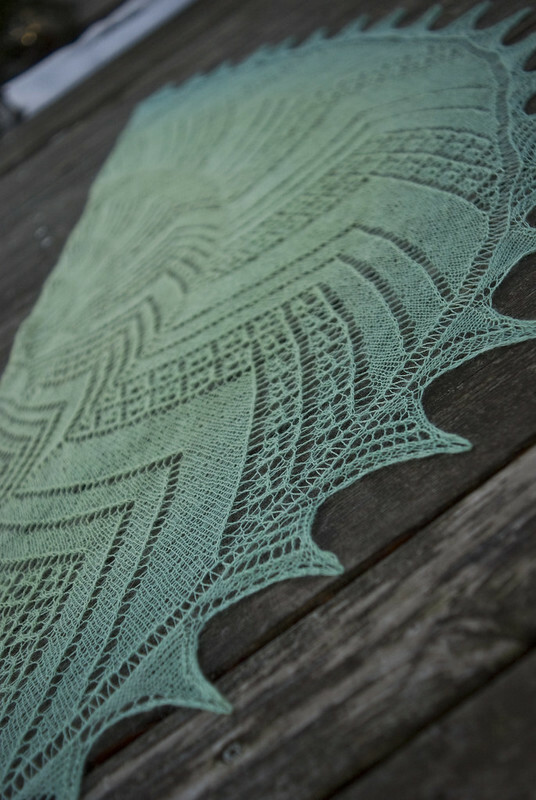 It’s an asymmetrical pattern that incorporates both cables and lace. Simple, but elegant. Pattern can be found on Ravelry. And, my spinning has yielded about 230 yards of 3-ply (using the chain-ply method) yarn from 4.5 oz. 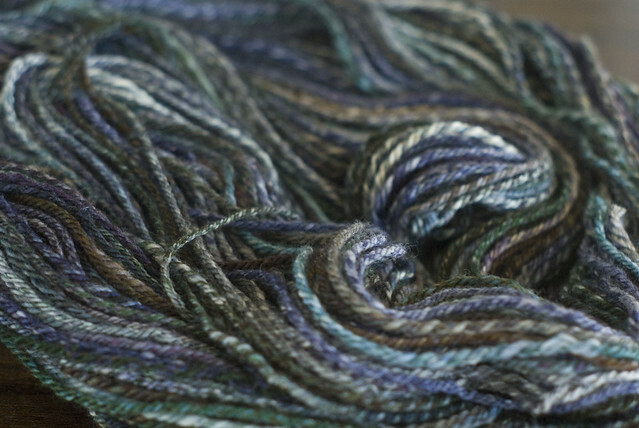 of superwash merino. It’s a little thicker than what can reasonably fit through my CSM (another thing to be shared later), so this yarn might have to wait to become something else. 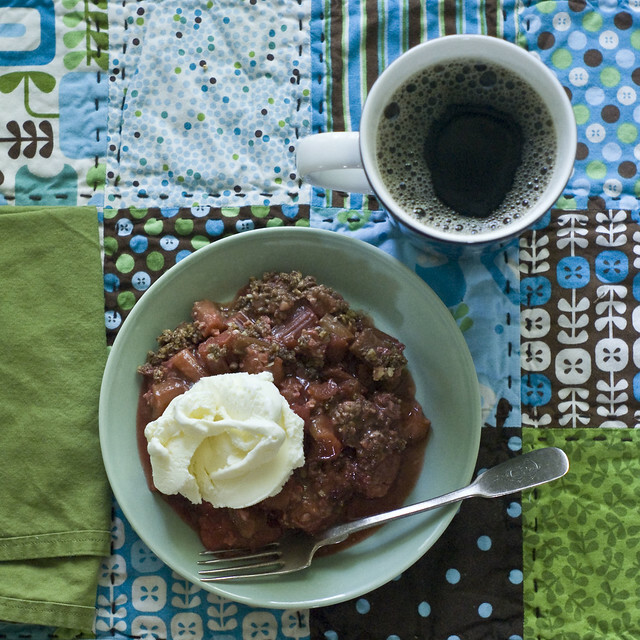 In the meantime… we enjoyed “harvesting” some fruit when organizing the freezer, yielding a super simple strawberry-rhubarb crisp. 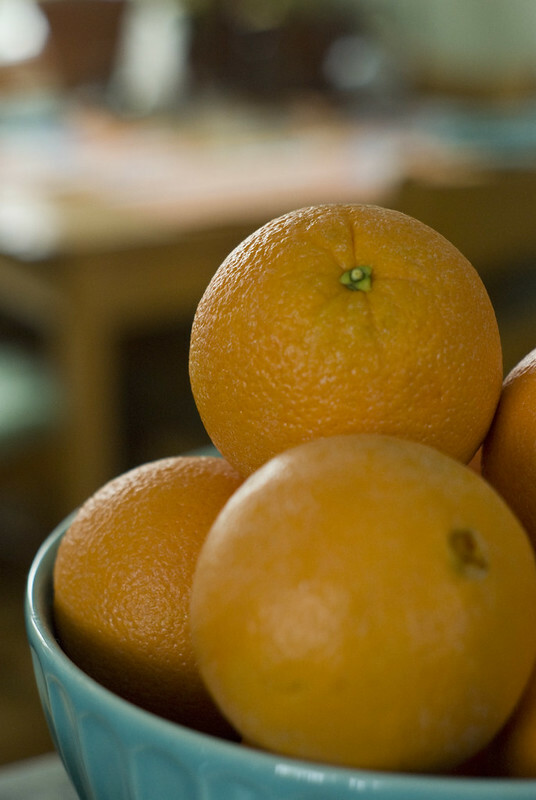 So simple, that a written recipe is hardly needed. Essentially pile the frozen strawberries and rhubarb into a big bowl, defrost for a bit. Add some honey (1/4 cup, more or less depending on desired sugar load), a sprinkling of flour (I use a gluten-free blend) and cinnamon. Spread that into a 9×13 pan, top with some ground-together pecans, oats, olive oil (just a drizzle) and molasses (another drizzle). Bake for 50 minutes at 375ºF (more or less until the bubbling is on the thicker side). If you’re feeling a little more decadent, top with a little vanilla ice cream! After a restful night, it’s a good idea to use some time to transition between sleep and wakefulness. Quiet contemplation or meditation is one way to help the brain and body restore its senses, and put some order to the day. 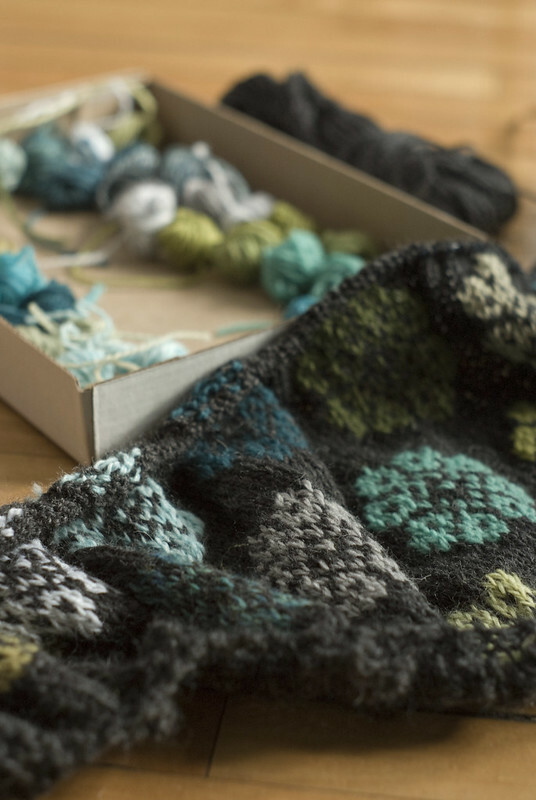 I’m really trying to use this time to get back to my spinning wheel and spend fifteen minutes working some wool through my hands, twisting the soft strands into yarn, working with only the soft morning light of dawn. It takes a few minutes for my hands and feet to wake up, but once that happens I can sit peacefully and allow the process of pedaling, drafting, and feeding to turn into a meditative rhythm. 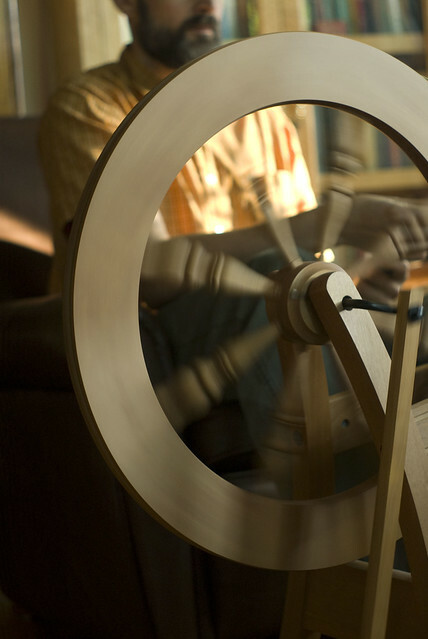 Spinning wool, flax, cotton or silk into yarn is something that humanity has been doing for many thousands of years. 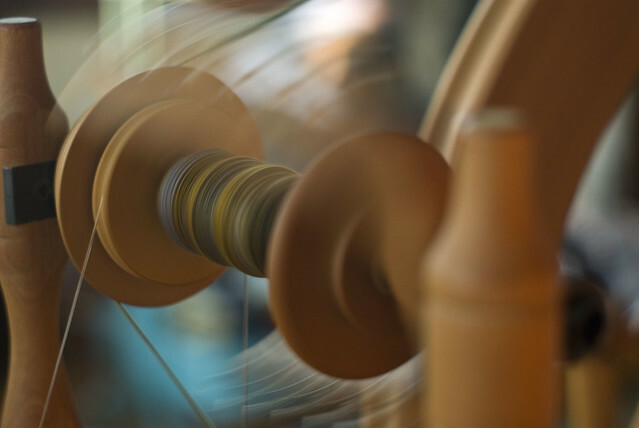 And, not until organized groups of workers in the 18th century came up with methods of mass production, families relied on each other to create yarn and string for use in clothing and textiles. I admit, there is no way I would be able to spin enough wool and cotton to be able to clothe even just myself, let alone my family. But, the process continues to instill in me the wonder that comes from taking such a raw material as wool and working it into something that can, in turn, be knit or woven into a garment. So, even though humanity has gained a lot more time to do other more economically fruitful things by not having to spin, we’ve also lost the joy and pride that comes with being able to custom-make garments for ourselves and loved ones. 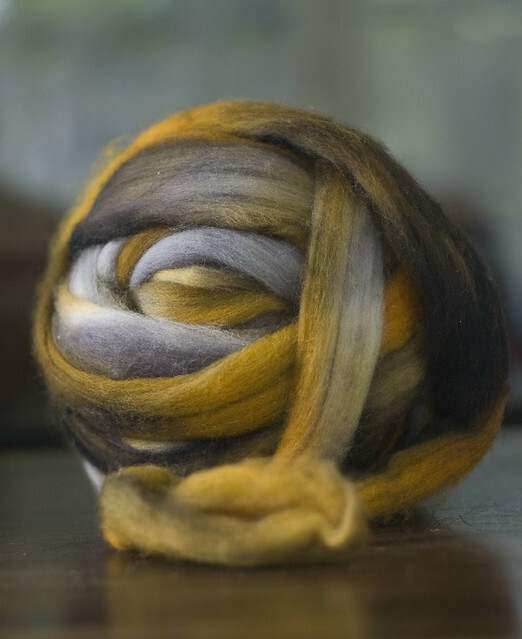 These days there are so many great places to find wool to spin, it’s a way to connect with wool producers and get that much closer to the source of what goes into making knit garments and goods. Admittedly, these last few years I’ve slowed down on my spinning ritual, and my collection (or stash) is still fairly significant, so I have given myself a year or so to work through the excess before I go out seeking new fiber. This particular batch is some merino (what I call fun fiber) to help me get back into the saddle, and to loosen up the cobwebs in the “drafting” area of my brain. It’s not a perfect skein, but like riding a bike, I’m sure the actions will become a little more fluid like they used to be. 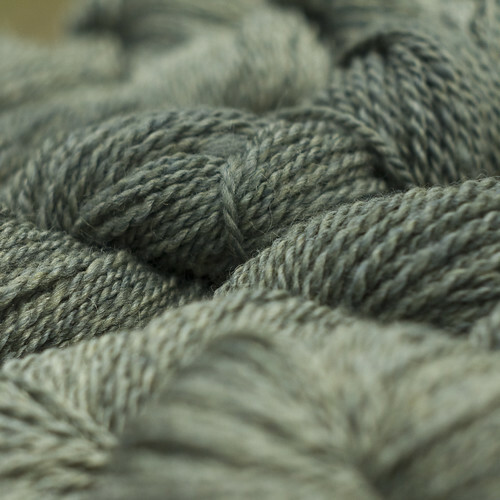 This sea of wool contains two fibers I have never spun before, and am looking forward to making some yarn out of them. The top left bowl of white, cloudy happiness is 100% angora – the kind of fiber that, when touched, just feels like pure warmth as opposed to anything tangible. The same can almost be said about the bottom left bundle. That’s 100% yak down. All in all, though, I feel I was a bit restrained, and that’s mostly due to the fact that I’m still working on piles of fiber from festivals past. So, here’s to another year behind the wheel! 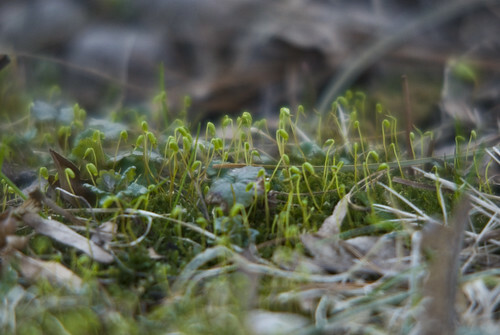 I’ve finished a few more spinning projects and thought I’d share them, matching them with a corresponding early Spring photo from our yard. 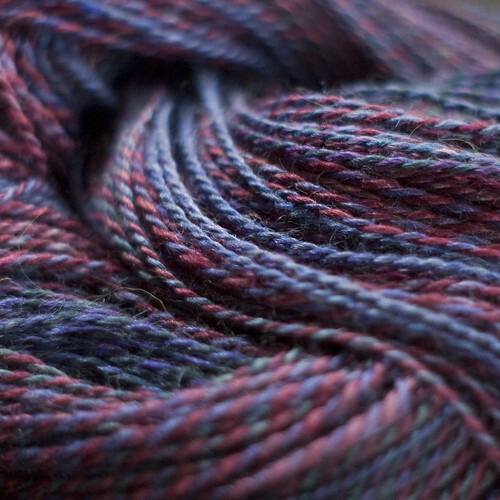 Approximately 835 yards of 2-ply yarn, spun from about 18 oz. 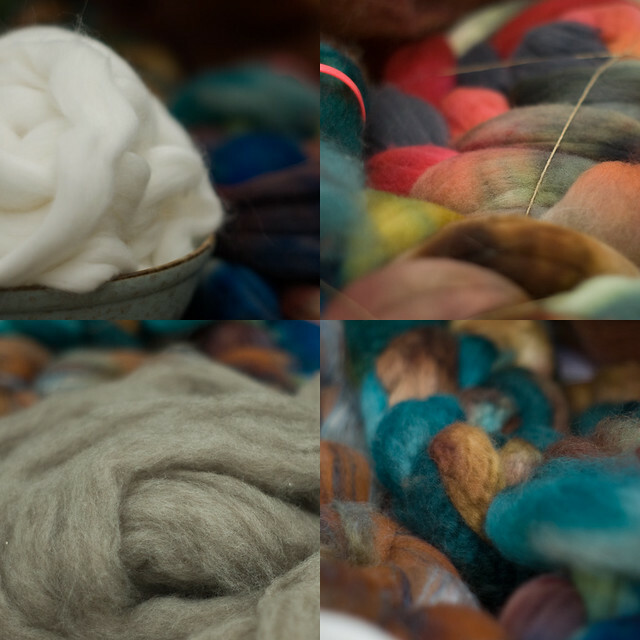 of alpaca, silk and wool fiber. 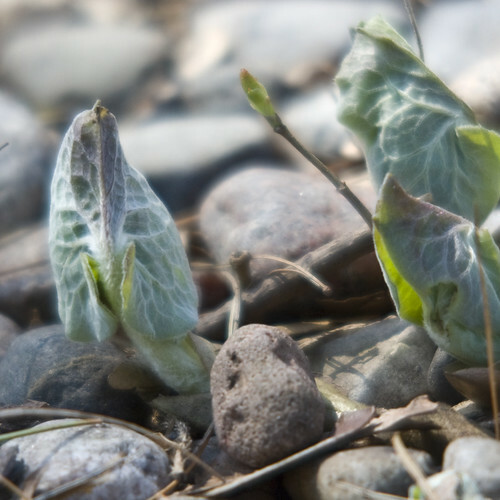 I’ve matched it with some delicate wild ginger coming up through some rocks. 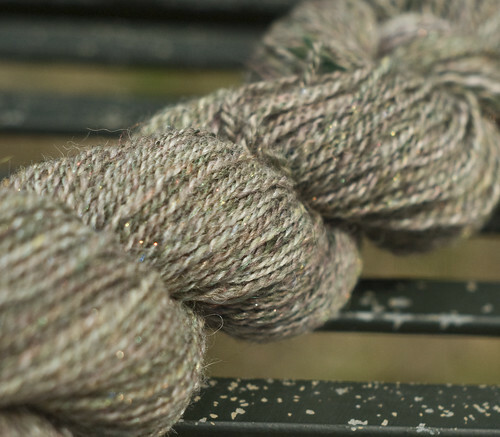 The sparkly bits in this luxurious blend of alpaca, bison, wool, ramie and tencel remind me of the wee shoots of new growth on a patch of moss. 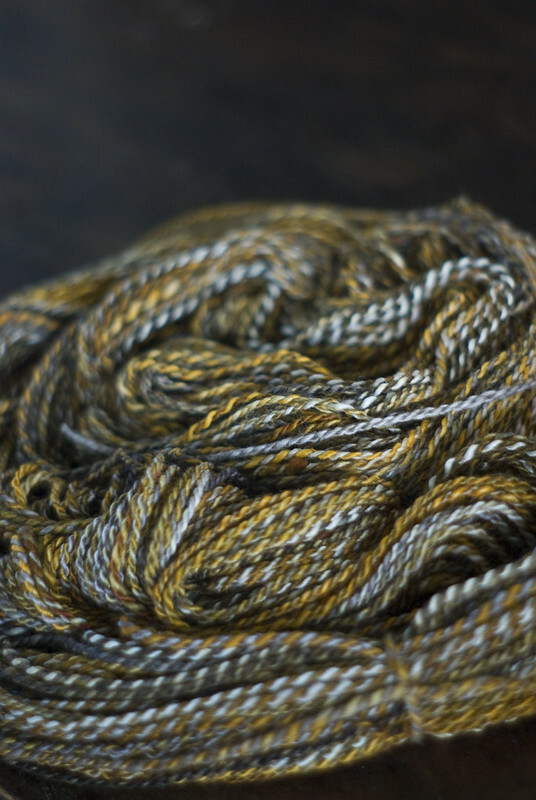 I spun approximately 170 yards of 2-ply yarn from 2 oz. of fiber. 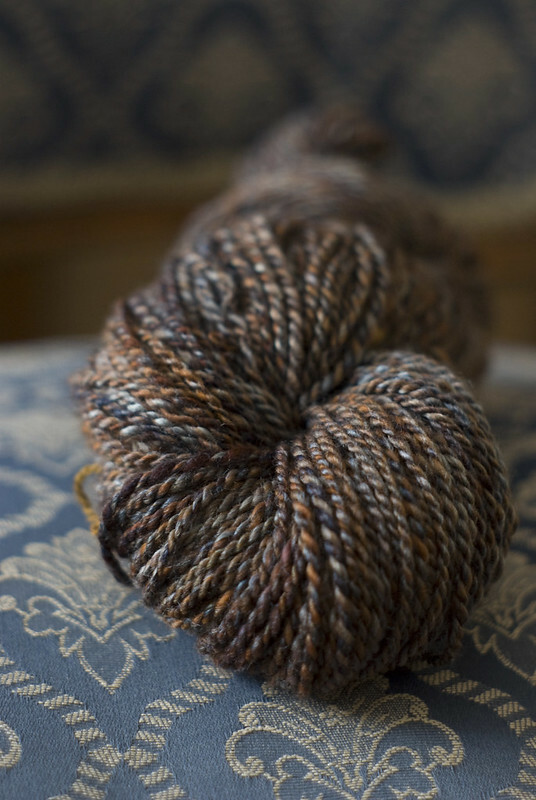 And, this 70/30 blend of alpaca and silk, spun from 4 oz. 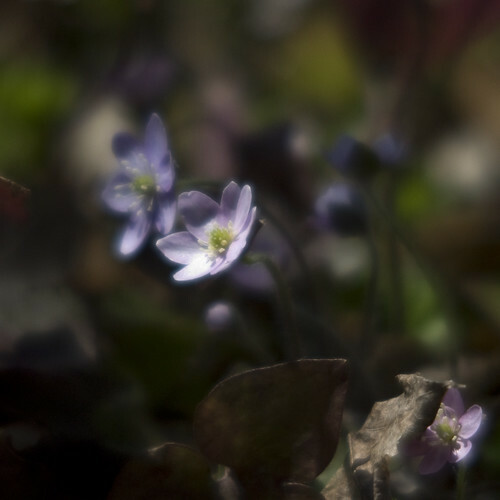 of fiber and yielding 190 yards of 2-ply yarn, is paired with one of the first flowers of Spring (at least in our yard) – Hepatica. Apart from some stubbornly cold temperatures, I think it’s safe to say the spell of Winter has been broken.